Main Food Groups In The Food Pyramid? 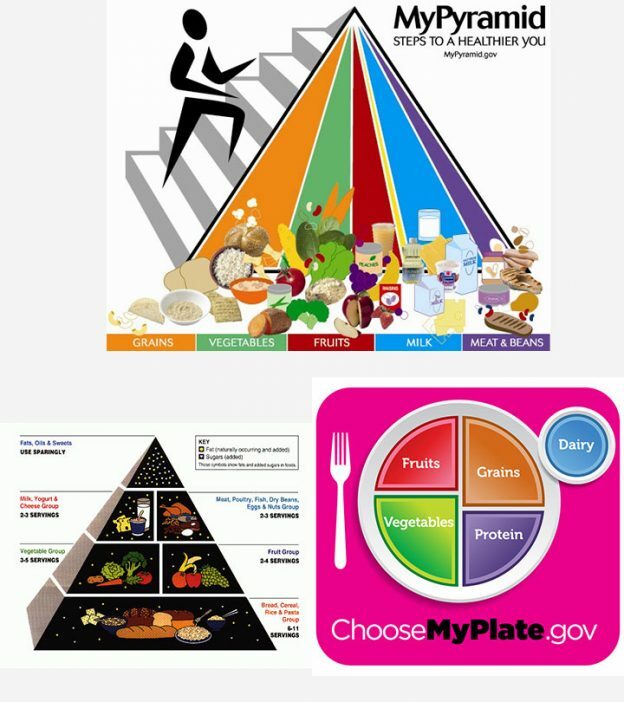 How Is MyPlate Different From Food Pyramid? Parents often have questions like “What kind of food should my child eat?” and “How much should he eat every day?” If you find yourself asking these questions, you have the answers in the food pyramid. Designed to help people follow a healthy and nutrient-rich diet, the food pyramid for kids has been a reliable resource for parents and caregivers. In this article, MomJunction tells you all that you need to know about the USDA food pyramid, now known as MyPlate, to ensure complete nutrition for your child. 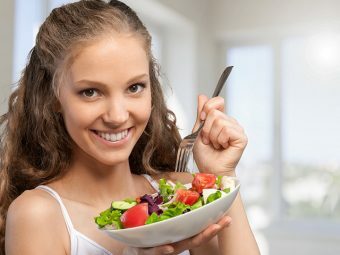 For over a hundred years now, the US Department Of Agriculture (USDA) has been publishing a list of healthy foods that people should eat (1). Officially named the Food Guide Pyramid, it was designed to be a guide that encouraged people to build healthy eating habits. The guide had information about different types of foods and the right portions to be included in a daily meal. The USDA officially launched the Food Guide Pyramid in 1992, keeping in mind the American lifestyles and eating habits. Food Guide Pyramid was re-branded as MyPyramid in 2005. MyPyramid For Kids is a popular nutrition guide for parents and teachers across the US. In 2011, the USDA replaced MyPyramid with MyPlate, which comes with a checklist that can be personalized. The checklist considers the age, gender, weight, height and the amount of physical activity of the child to come up with a personalized meal plan (2). 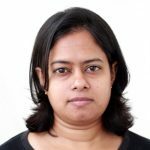 What Is The Importance Of Food Pyramid For Kids? The USDA food guide is one of the most popular food guides that you can rely on. The food pyramid was developed after extensive research, keeping in mind the individual dietary habits and lifestyles. This food pyramid also helps children develop a healthy way of life, with equal emphasis on diet and activity. Caregivers may not always know what foods are good and what are bad for the kids. They may also not be aware of the nutrition information for a particular fruit, vegetable, dairy product or meat. The food guide is comprehensive and educates parents, teachers and other caregivers on the types of foods they must include in a child’s diet to ensure complete nutrition. With the help of the MyPlate guide, you can develop a personalized diet plan that meets the daily nutrition requirements of your child. The colorful MyPlate logo is self-explanatory with images of fruits, vegetables, dairy and meat that kids should eat. Parents can use the images and activities on the MyPlate site to encourage their children to eat healthy foods, and keep away junk foods. Teachers can also use the food pyramid to introduce the idea of nutrition and healthy eating in school. How Many Food Groups Are There In The Food Pyramid? The food pyramid is an easy tool to build healthy eating habits for your kids. The USDA Food Guide Pyramid and the MyPyramid had six food groups. However, the latest food guide, MyPlate, has five. Here is a note on what the main food groups in the food pyramid and MyPlate are. Foods made of grains like rice, wheat, millets, corn, muesli, quinoa, rye, barley and oats fall under this category. Examples of grain foods include whole-wheat bread or pasta, brown rice, cornbread, popcorn, and cooked cereal, among others. More than half of the grain-based foods that you include in your kid’s meal should be whole grain foods. Replace white flour-based foods with whole-wheat foods to ensure that your child gets maximum nutrition. If your kids are used to eating refined grain foods like white rice, cornmeal, and white bread, getting them to eat whole wheat foods can be difficult. One-quarter of your child’s daily meal should consist of fruits like apples, bananas, and oranges. Fruits are rich in vitamins, minerals, and other nutrients that your child needs for growth. They are the best sources of vitamin C that protects against cardiovascular diseases and eye diseases; folic acid that plays a major role in preventing cancer (5); potassium provides enhanced muscle strength and improved metabolism; and fiber keeps your cholesterol in check. Research has proven that people who include fruit in their regular diet are less susceptible to heart diseases, cancers of the mouth, lung, larynx, pancreas, cervix, and esophagus (6) among others. Fruits are also known to reduce the risk of stomach cancer and type 2 diabetes (7). Fruits rich in potassium also reduce the risk of blood pressure and prevent the development of kidney stones. More than anything, fruits have low-fat content and fewer calories, which means you can eat more fruit without worrying about gaining weight. Fruits are also among the recommended first solid foods for babies (8). Your child may or may not develop a liking to eating fruits. Here are a few ways to get your kids eat fruits from an early age. Always have fruits at home. Have a bowl of fresh fruits on the table – ensure that you include seasonal fruits in it. Introduce a variety of fruits including melons, citrus fruits, and berries to your kid early in his childhood. Make sure that there is a lot of color in your fruit bowl. Include orange and yellow fruits like mangoes, oranges, grapefruit, pears, peaches, red fruits like cherries, apples, and pomegranates, green fruits like green apples, papaya, watermelon, kiwifruit alongside blue and purple colored fruits like blueberries, plums, and prunes. If your child refuses to eat cut fruit, try fruit juices. Stick to 100% fruit juices. You can also opt for fruit-flavored smoothies or other forms of beverages but avoid adding sugar, cream, or other flavoring agents which could affect your child’s health adversely. Like fruits, vegetables are rich in essential nutrients. They can be eaten raw, cooked, or semi-cooked, depending on how your kid likes them. You can buy fresh vegetables or frozen/dried vegetables. Whatever your choice is, make sure that vegetables are a part of your kid’s daily food intake. Vegetables can be classified into five different groups, based on their nutrient content. Starchy: Veggies like cassava, corn, fresh cowpeas, field peas or black-eyed peas (not dry), green banana, green peas, green lima beans, plantains, taro, water chestnuts, and white potatoes are a few examples. These vegetables are rich in fiber, minerals and vitamins. Dark Greens: Bok choy, broccoli, collard greens, dark green leafy lettuce, kale, mesclun, mustard green, romaine, spinach, turnip greens and watercress are a few to mention. They are rich in Vitamin A and act as cleansers that flush out toxins from your body. Red and orange: Acorn squash, butternut squash, carrots, hubbard squash, pumpkin, sweet potato, red chili peppers, and tomatoes are all a part of the red and orange vegetable group. These vegetables have a high content of beta-carotene, magnesium, calcium and vitamin C. Nutrients from these vegetables can help you fight free radicals in the body and reduce the risk of prostate cancer and joint pains. Beans and peas: They are matured versions of lentils and legumes. The different types of beans you can have in your meals are kidney beans, soy beans, Lima beans, black peas, garbanzo beans or chick peas and pinto beans. Beans come in different shapes, sizes, and colors and are as rich in nutrients as meat and poultry and often replace them (9). They are free of cholesterol but rich in potassium, plant protein, iron, and zinc. Other vegetables that you should include in your kid’s diet are artichokes, parsnips, green beans, Brussels sprouts, onions, cabbage, asparagus, eggplant, green peppers, avocado, cauliflower, cucumbers, iceberg lettuce, bean sprouts, turnips, mushrooms, beets, wax beans, okra, and zucchini. You may not be able to include all these veggies in a single day’s meal. But you can include at least two or three different varieties of veggies in your kid’s meal every day. That said, getting your child to eat his veggies is one of the most difficult things to do, but not eating vegetables is not an option! Why not leave the old school ways and try something new? 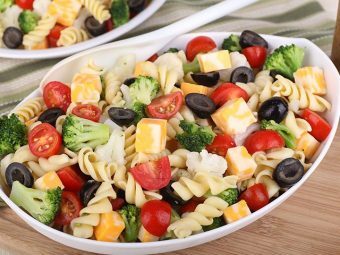 Try to make a dish that contains different vegetables (preferably of different colors), so that your kid gets the nutrition he needs. Mash up veggies or create vegetable pastes or purees that can be used in some dishes. Try to make fresh purees, rather than using processed or refrigerated ones. Stir fry vegetables to make them crunchy and tasty, but avoid deep frying or using fatty oils. Let your children pick one vegetable that goes into the salad, or that should be eaten during dinner. Older children can also help you peel, cut, and serve veggies at the table. Protein is the source of energy to our body. It helps form the blocks of body tissue. Meat, poultry, fish, and nuts are the most common foods that supply protein to the body. Beans and peas, along with processed soy products, are also rich sources of protein. A protein diet usually consists of a variety of meat products like chicken, beef, pork, and lamb. Care should be taken while choosing foods from this group as some meats contain high amounts of saturated fat and cholesterol, which can increase the risk of heart disease. 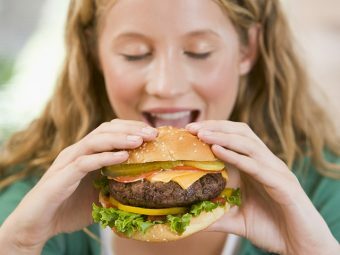 Avoid red meats like beef, pork, and lamb, which have high amounts of saturated fat. Instead, opt for lean meats like chicken and fish (10). Egg (whole) is a good source of protein, but you can choose to eat only the yolk or the white (which is free of cholesterol) depending on your needs. For vegetarians, beans and peas, nuts, and soy products like tofu and soy sauce are the major sources of protein (11). Vegetarian products rich in proteins include beans (all types), cottage cheese (tofu or tempeh for vegans), peanut butter (high in calories), soy products (milk, yogurt, and cheese), and unpolished or brown rice. Choose lean meat options like lean ground beef (with less than 8% fat), boneless chicken, or turkey cuts. You can even take off the skin before you cook the meat to lessen the fat content. Vary your protein options – replace meat with seafood and plant-based proteins two or more days a week. Seafood is a low-calorie protein source. Opt for cod, mackerel, salmon, and herring which have high protein content but less than 200 calories, especially if you want to keep your kid off fatty foods. Avoid giving your kids deep fried meats that contain a high amount of saturated fats, and can add to unwanted weight gain. All liquid and solid food products that are derived from animal milk fall under this group. Milk, yogurt, and cheese are the most popular forms of dairy products that you can find today. Dairy products are rich in Vitamin D, calcium, potassium, and protein. Primarily, milk products that retain their calcium content fall in this group. So cheese, butter, and cream, which have little or no calcium, are not considered as dairy in the food pyramid. That said, fortified soy milk and other plant-based products with calcium also fall under the dairy food group. Rich source of calcium, dairy products help in strengthening bones and teeth. Regular intake of dairy products also reduces the risk of osteoporosis, a condition that weakens your bones and makes them brittle. Dairy is also known to lower blood pressure and reduce the risk of cardiovascular diseases and type 2 diabetes. Consider milk and cereal as a breakfast option. Use products like cheese in your dishes. Make smoothies which have the goodness of dairy as well as fruits. Make dips with yogurt or cheese to go with snacks and vegetables. Make desserts with low-fat milk or cream. The Food Pyramid had a food group called “sweets and fat oils”, which included cookies, doughnuts, cakes, soda pop, and other sugar treats. These products have a lot of empty calories but provide little nutrition to your kids. MyPlate eliminates this food group completely. MyPlate also differs from MyPyramid in the following aspects. The Food Guide Pyramid and the MyPyramid focused on two things – what and how much to eat every day. The pyramid had clear specifications about the number of servings of different food types in the pyramid. For example, it clearly stated that toddlers aged between two and six years of age should eat six servings of grain food, two servings each of fruits, dairy and meat, and three servings of vegetables. But it was generic and did not consider factors like the child’s age, weight, height, or gender. The food plate divides the five main food groups into equal slices and provides the amount of physical activity a kid should get every day. This allows you to get the desired results sooner, while reducing the risks of overeating, or undernourishment. The 2005 MyPyramid food guide was colorful but had little information. It was different from the previous one. MyPyramid had longitudinal sections that indicated each food group but with no labels, which made understanding MyPyramid For Kids a difficult task. You had to have a computer to know what each color denoted. MyPlate is simpler that way. The logo is clear and simple to understand with labels of the food groups mentioned on it. 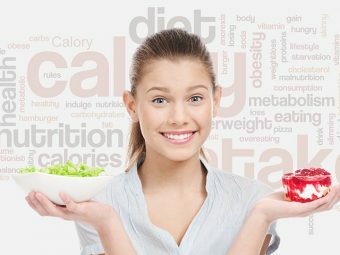 While you would need a computer to know about each food group in detail, you would at least know what types of food you should include in your meal plan by looking at the logo. The best part about the plate is that it is teachable and easy to understand because of the shape of the image. People understand better when you show them the MyPlate logo and say “your food plate should look like this,” than when you show the pyramid. The Pyramid Food Guide and MyPyramid that the USDA designed in 1992 and 2005 were generalized when it came to the amount of food recommended. MyPlate requires you to put in specifics about your child like his weight, height, and the amount of physical activity he gets before recommending how much to eat. The portion sizes are also explained in detail on the MyPlate website so that you know how much food amounts to take in one serving. Again, this prevents in overeating or undernourishment. Both MyPyramid and MyPlate recommend physical activity. However, MyPyramid did not consider a person’s physical activity levels in a day to determine portion sizes. The new food guide has a page dedicated to physical activity and its importance. The ChooseMyPlate.gov website gives you detailed information about the different types of physical activities and how many calories they help you burn in an hour, based on which it tells you how much to eat. The MyPlate website has a dedicated section for physical activity, which has information about walking, hiking, running, cycling, swimming and other outdoor activities your kids can indulge in. Children and teens should be encouraged to participate in physical activities at school and at home. While it is okay to play video games, it should be in moderation. Let your children play outdoors more often, to ensure that they are getting enough exercise every day. The USDA has also introduced a Super Tracker to keep a track of your daily physical activities (12). The tracker gives you a daily report of how many calories you have burned on a day. The key to a healthy life is to know how to balance the food you eat and the number of calories you burn every day. The food pyramid or plate only tells you what to eat and how much to eat. It is up to you to follow the recommendations. If you have never really followed a food pyramid diet regime for yourself or your kids, it may be difficult to switch to the MyPlate plan overnight. So start slow and introduce food types from the pyramid for your children one at a time. It is equally important to ensure that your kids eat foods from each of the five groups every day, for complete nourishment. However, if your child is averse to dairy products or is lactose intolerant, you can consider other sources of calcium like soy milk, fruit juices, almond milk, cereals, soybeans, and leafy greens, and canned fish like sardines and salmon. Milk products should be consumed in moderation, to prevent unnecessary accumulation of calories. Also, it is best to avoid raw milk or milk products made from unpasteurized (raw) milk. Do you have something to say about the food pyramid? Use our comments section below.